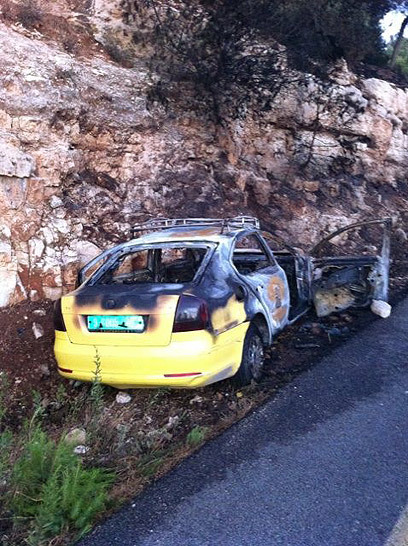 Ten days after a firebomb attack injured six Palestinians in Gush Etzion, police arrested three minors aged 12-13 on suspicion of involvement in the attack. The teens, who reside in a nearby settlement, met members of the security forces directly after the incident. Police arrested two of the three suspects at a Jerusalem yeshiva they attend. The three were questioned and will be remanded in custody until Monday. Police said they have sufficient evidence linking the suspects to the crime and for another motion to extend their remand. The suspects’ families and attorneys were equally confident the teens would be released on Monday. The father claimed that his son had told Shin Bet investigators who questioned him after the event that he was not at home at the time of the attack. Five of the six Palestinians injured in the attack are still hospitalized at the Hadassah Ein Kerem Hospital in Jerusalem. Four of the five are members of the same family and have experienced an improvement in their condition. Two days after the event, Prime Minister Benjamin Netanyahu spoke to Palestinian President Mahmoud Abbas and promised him that Israel will spare mo effort in bringing those responsible for the attack to justice. The vehicle was struck as it was travelling between the West Bank settlements of Bat Ayin and Gvaot, in the Gush Etzion region, and overturned. 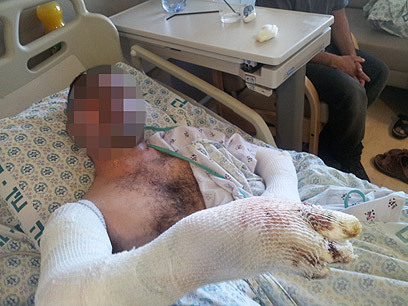 The injured Palestinians were evacuated to Jerusalem’s Hadassah Ein Kerem Hospital for treatment. This entry was posted on 08/27/2012, 9:34 and is filed under Uncategorized. You can follow any responses to this entry through RSS 2.0. You can leave a response, or trackback from your own site. Its in their blood they can’t help it. The three minors story,`The teens, who reside in a nearby settlement, met members of the security forces directly after the incident`. Met ?? And: `The suspects’ families and attorneys were equally confident the teens would be released on Monday`. I fully understand why they would be confident. Ynet is signalling to the self chosen that it’s a put up job.